I always feel terrible that I take so long to review skincare that's sent to me to try, but with these kinds of products I think you always need to try them for a good few weeks or even months before you can see the results. That said, I think I might have gone a little overboard with testing time on these products from Filorga, seeing as I'm nearly at the bottom of the jar on one of them! 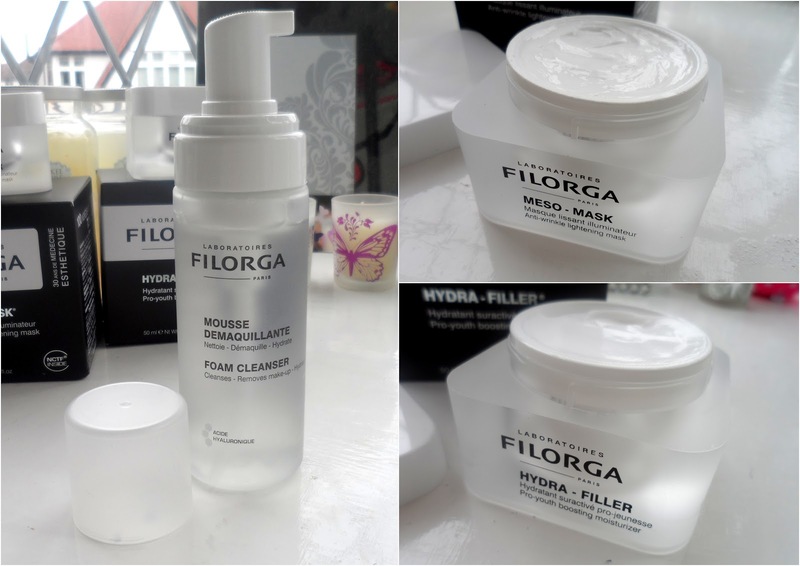 Filorga is a French anti-ageing skincare brand which I'd never come across before seeing it at the M&S Your Beauty hall. I heard that Kate Moss is a fan of some of the range, so of course I was keen to give it a try. This moisturiser contains extra pure hyraluronic acid to deeply rehydrate the skin and plump up any dehydration lines. I've been using this a night time moisturiser as it's quite rich and would be a bit too much for my oily combination skin during the day. At night it's just right and leaves my skin feeling nicely plumped up. It feels really luxurious to apply and it's got a nice subtle fragrance to it so I go to bed smelling sweet too. £45 is a bit more than I'd usually spend on a moisturiser, but I know my skin is getting to that stage now where it needs targeted products if I'm to see results and keep wrinkles away. No more grabbing whatever's on offer in Boots! The Filorga form cleanser is said to be the first anti-ageing cleanser. As well as disolving makeup and cleansing the skin it intensely hydrates, moisturises and smoothes. I think foaming cleansers get a bit of a bad press with some people saying they're not good for your skin. I'm not really sure why, I think perhaps they can be drying on the skin. For me this one doesn't dry my skin out or give that tight feeling at all. It's a nice change to use a foam cleanser as I've not tried one in years. In comparison to some of the oil cleansers I've been using this one does give me a faster cleanse so it's a quicker route to squeaky clean skin with the added anti-ageing benefits thrown in. And finally the Meso mask my skin has been gobbling up. The mask is inspired by clinical treatments where plant extracts and vitamins would be injected into the skin, but there are no needles here, just a lovely rich creamy mask. The mask is designed to give skin radiance and erase signs of tiredness. I've been using this once a week while lounging in the bath, so I leave it on for a good half an hour and I can see where my skin needed it most as the cream almost totally sinks in and disappears on some areas of my face. I've really enjoyed trying Filorga, in particular the moisturiser at night, and the mask. They're much richer than I'm used to and really hydrate my skin and have made it feel smoother with continued use. I'd certainly buy the moisturiser when I run out, if my budget stretches to it. Have you tried Filorga? What's your favourite night cream? 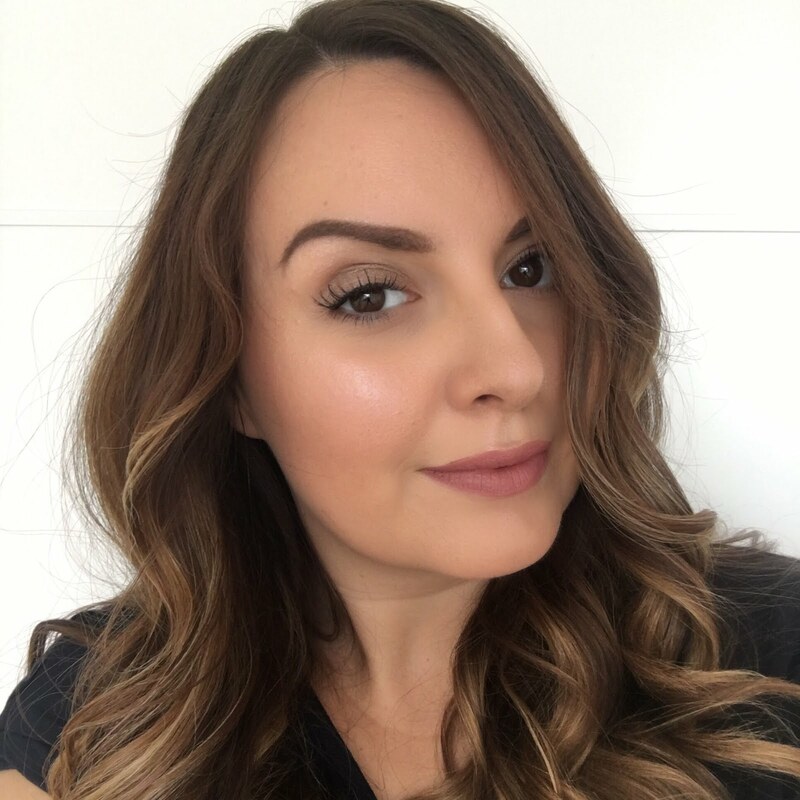 I got to try the eye serum the other week, absolutely in love! It was so creamy, I can't get enough of it now. Nice review, I had not heard of this product line. The cream mask sounds divine - I love a moisturizing facial mask that melts on the skin. I am definitely going to give it a try since I promote the best facial masks as part of a simply beautiful facial. Keep the reviews coming on what's coming out for 2013!